Tickets for upcoming workshops, screenings, and events can be purchased from the calendar. Click here to see a listing of all upcoming workshops, screenings, and events. Experience 3 Guided Meditations on Ronna’s Triple Heart Healing Technique. Ronna leads you through 3 meditations to free your heart: Meditation #1: Moving Confusion to Assuredness; Meditation #2: Moving Resentment to Forgiveness; Meditation #3 – Moving Regret and Sadness to Acceptance and Peace. Dive in, Tune into your hearts and Lighten up to heart-healing freedom! Includes a PDF guide with the triple heart healing process chart. All Triple heart healing music – 3 original songs by Elio and 3 guided meditations led by Ronna. With this 6 track audio package you may guide yourself through the triple heart, and also follow Ronna’s guided mediation in order to anchor in the triple heart healing technique created by Ronna Prince. Ronna is the visionary and filmmaker of Sacred Journey of the Heart, as well as a Heart-Based Success Coach, HeartMath trainer and Radical Forgiveness Coach. Dive In, Tune in and Lighten your hearts for freedom and peace! Includes a PDF guide with the triple heart healing process chart. 3 Original heart healing songs composed by Elio: Letting Go (Low Heart), Forgiveness (Middle Heart), Willingness (High Heart). Listen to these 3 pieces composed with 528 Hz frequencies to open your heart and heal. Guide yourself through the triple heart healing technique to free yourself from difficult emotions and expand into peace! Purchase the DVD for only $9.99, while supplies last. 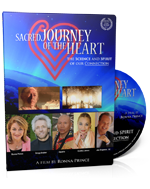 Join us on a sacred journey of the heart with this 88 minute international-award winning film. Have you ever started on a journey to a specific destination only to end up somewhere completely different? As writer-producer Ronna Prince began filming, she had no intention of sharing her long buried secrets. But by courageously revealing her past, the film evolved into a compelling documentary about healing, forgiveness and transformation. More than just a compilation of facts, this film contains step-by-step suggestions on how to live fully in the heart. Ronna brings together a stellar cast of leading scientists, teachers and indigenous elders from around the world to present the primary message of the film: We are all connected through the human heart. The heart truly creates a unified field among people AND connects us with the harmonic field of earth itself. 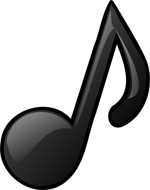 Theme Song for the film, Sacred Journey of the Heart.